Kanchenjunga (8,586m) is the third highest peak in the world which is one of the unexplored and virgin trekking areas, situated in the eastern part of Nepal. Kanchenjunga trek is a pleasing trail in Nepal which offers an exotic scenic view of the Himalayas, wonderful snow-capped mountains, and landscape. Not only that, you can enjoy numerous small and high (above 8,000m and below 8,000m) snow-peak such as; Mt. Manaslu (8,201m), Mt. 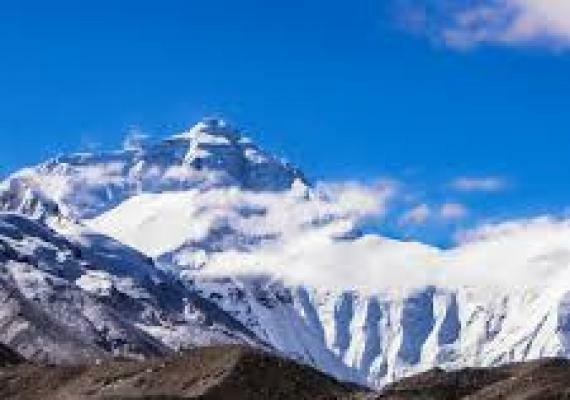 Everest (8,848m) and Mt. Lhotse (8,516m) and many more. Nepal and Sikkim are two routes from where people can trek Kanchenjunga. 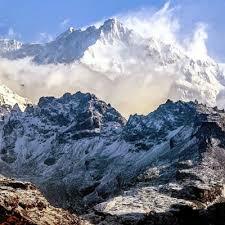 There you can get chances to know about many mysterious stories regarding on Himalayan Yeti. People believe that abdominal snowman is found in this region. 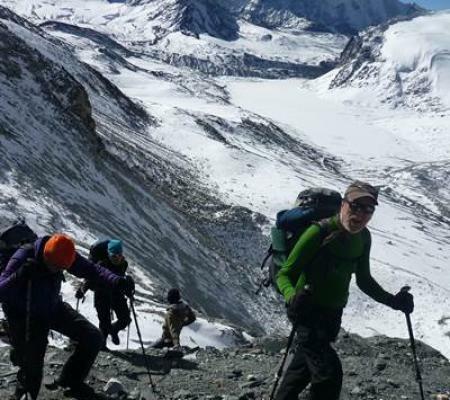 It is one of the adventure and remarkable destination among trekkers due to its amazing topography of land, beautiful landscape, massive wildlife during the trekking such as; Musk deer, Snow Leopard, Red Panda and so on. Kanchenjunga is a conservation area where you can find many threatened species of birds such as; Red-Billed blue Magpie, Shy Dragon, Impendence Pheasant, Amphibian, and Mammals and preserved Red-Panda, Musk deer, Himalayan Black Bear, Snow Leopard and many more. Kanchenjunga Trek also let you explore remarkable Valley with their unique cultural, and traditions of the local inhabitants. 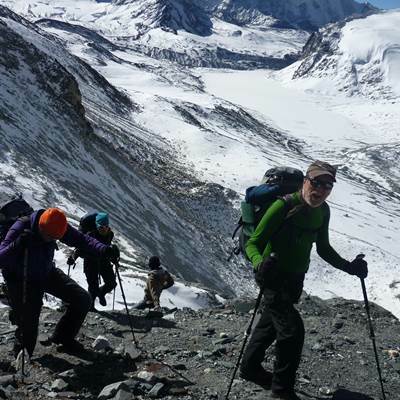 This trekking trail offers you to enjoy the best magnificent views of the frozen lake crystal clear stream, an amazing ascend of Rathong and Kabru, Ok then Glacier, Glacier excursion around Ramche and so on. 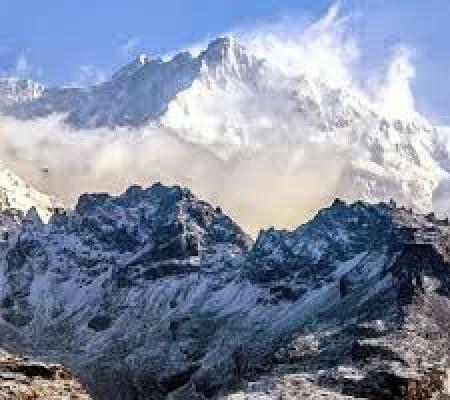 Kanchenjunga trekking trail starts from Kathmandu to Suketar, Taplejung by air flight and we move to Lali-Kharka- Keswa-Manake above the sea level through the beautiful rhododendron forests. The further trial will be towards Lamite Bhanjying, Torotan, Tseram, Ramche, Mirgin-La across Gunsa, Kyapra move down to Sakathum then finally descend to Phurumbo then to Taplejung- Suketar. In this way, we will end our memorable trek of Kanchenjunga. Day 03: Flight to Suketar (2, 420m). Day 04: Trek to Mitlung. (921m). Day 05: Trek to Chirwa (1, 185m). Day 06: Trek to Sukathum. (1,509m). Day 07: Trek to Amjilosa (2,498m). Day 08: Trek to Gyabla (2,730m). Day 09: Trek to Ghunsa (3, 595m). Day 10: Trek to Kambachen (4,145m). Day 11: Rest at Kambachen (4,145m). Day 12: Trek to Lhonak 4,500m. Day 13: Trek to Kanchenjunga north base camp (5,143m). Day 14: Trek to Kambachen (4,145 m). Day 15: Trek to Ghunsa (3,595 m). Day 16: Trek to Sele Le (4,290 m). Day 17: Trek to Cheram (3,868 m). Day 18: Trek to Ramche and back to Cheram (3,868 m). Day 19: Trek to Tortong (2,980 m). Day 20: Trek to Yamphudin (1,692 m). Day 21: Trek to Yangpang (1,007 m). Day 22: Trek to Thorpu (1,500 m). Day 23: Drive to Birtamod. Day 24: Drive to Bhadrapur and flight to Kathmandu. Enjoy a truly genuine Nepali hospitality in remote picturesque villages. A wide variety of ethnic minority groups. Holiest mountain, as each of its five summits, corresponds to five treasures of snow in the form of gold, silver, gem, grain and holy books. As you arrive at Kathmandu, Tribhuvan International Airport, a representative will warmly greet you and he/she will drop you at the best hotel in Kathmandu where you can rest and relax. 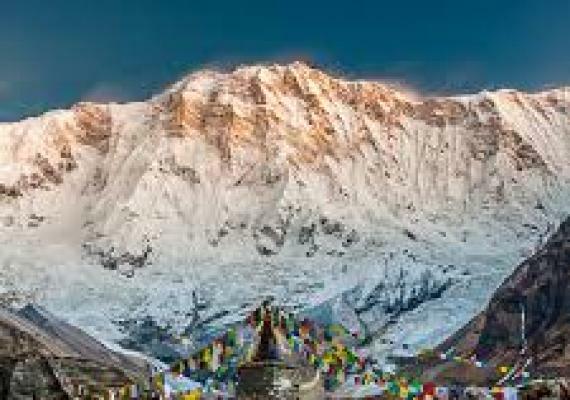 In the evening, tour guide exports will provide you brief explanations about the Kanchenjunga trekking. Overnight at Hotel. Early in the morning after having breakfast, we will manage you to visit world’s heritage sites of Kathmandu Valley such as; Pashupatinath, Syambhunath, Kathmandu Durbar Square, Boudhanath stupa, Patan Durbar Square and so on which are famous for its Buddhist monuments, Hindu Temples, and artistic architecture. Early morning, after having breakfast, we will take a flight for Suketar which is situated at the elevations of 2,420m. Around one and half hours, the beautiful scenic flight takes you to Suketar. After a short rest, you will explore the places of Suketar. Overnight at Suketar. In this day, you will officially start trekking, after early breakfast, you will trek towards Mitlung passing through the beautiful Valley, lovely meadowland Hangdewa River and rural landscapes of the region. Mitlung is situated at the elevations of 921m and it takes around 4 to 5 hours to reach there. Overnight at Mitlung. Today, early in the morning after having breakfast, we will begin our trekking towards Chirwa which is situated at the altitude of 1185m. We will follow the descending way to the village of Sinwa and continue the trail until you will reach to Tawa and next to Thiwa through the crossing suspension bridge and beautiful landscapes. The further trail leads you to the beautiful Limbu Village called Chirwa with numerous lodges and tea shops. Overnight at Chirwa. In this day, early in the morning after having breakfast, we will trek towards the Sukathum which is situated at the elevations of 1509m. During your trail, you will be passing several passes and cardamom fields with some dense forests. The further trail leads you to the lush green forest to Tamor river and you will reach Ghunsa River and then to the Sukathum. Overnight at Sukathum. Today trekking route from Sukathum to Amjilosa is quite tough where we need to cross a suspension bridge and trail passes through dense forest and reach to beautiful Solima Village then after finally, you will reach Amjilosa Village. In the evening, you will get chances to explore the Amjilosa village. Overnight at Amjilosa Village. In this day, early in the morning after having breakfast, we will depart Amjilosa and head towards Gyabla through the passing wonderful river bank, an amazing forest of Rhododendron, fir, Bamboo, crossing several small bridges along the way. On the way, we will get chances to enjoy the dramatic waterfalls which are originated from the Mountains and ultimately reach to Gyabla Village. Overnight at Gyabla. Over there. Then we will continue trail through the beautiful forest of pine and conifer and then we will reach the home place of Sherpa village of Ghunsa where you will also see Hydroelectricity plant. Overnight at Ghunsa. Early in the morning, you will enjoy a great view of mountains range, then after we will continue the trail towards Kambachen through the river bank to Kambachen. The route goes through the beautiful meadows, full of beautiful flowers and pine forests and the Rampuk Kharka Bridge which offers you to view glorious waterfalls and beautiful landscape. The further trail leads you to Kambachen which is situated at the altitude of 4150m. Overnight at Kambachen. Today is the rest day at Kambachen which is situated at the altitude of 4145m. 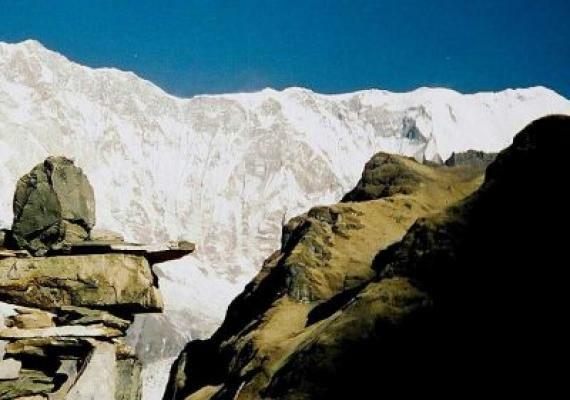 In this day you will trek small hikes and view some wonderful Himalayas ranges and explore the area. Overnight at Kambachen. the beauty of nature provides you energy where you need to cross the bridge of Ramtang monastery. Around 6 to 7 hours trek take you to the beautiful village Lhonak. Overnight at Lhonak. Next morning, after having breakfast, we will head towards Kanchenjunga north base camp which is located at the altitude of 5143m. Today’s route is quite dangerous so that we should be quite careful due to the possibilities of landslide and sometimes ice slide too. 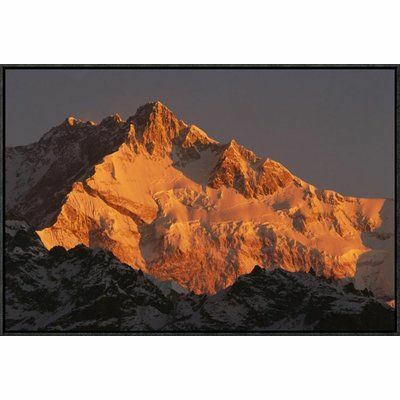 During our journey, we will enjoy the Kanchenjunga glaciers and some wonderful mountain views. 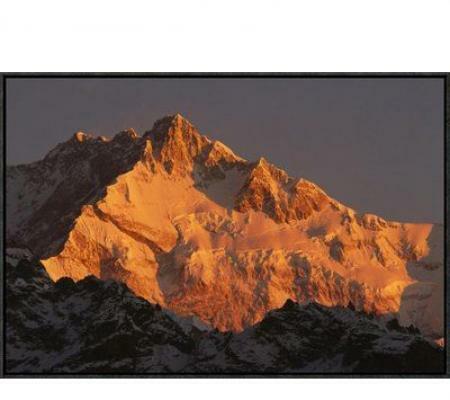 Kanchenjunga base camp offers you the most panoramic view of the region. Overnight at Kanchenjunga. Today, early in the morning after having breakfast, we will return back to Ghunsa from Kambachen. During our trail, we once get an opportunity to witness dazzling beautiful forest along with marvelous White Mountains views. Overnight at Ghunsa. Next morning, after having breakfast, from Ghunsa, we will walk towards the Sele Le through the beautiful dense forests of moss and rhododendron. We will stay overnight at Sele Le. In this day, after early breakfast, we will trek from Sele Le to Cheram through the tough way with a mesmerizing view of Jannu Himal and Manaslu Himal. The way goes through the vigorous area after passing several passes like Mirgin La, Sinion La, and Sinelapche Bhanjyang. We will stay overnight at Cheram. Today, early in the morning, we will begin our trek from Cheram through the Yalung Glacier, Simbwa Khola, and Lapsang Village and finally reach to Ramche. From Ramche we will get chances to view the glorious southern face of Kanchenjunga Mountain. The further trail leads us to the beautiful village Cheram where we will spend our whole night. Next morning, after having breakfast, we will descend towards the Tortong Khola through the beautiful rhododendron forests and finally reach Tortong which is situated at the elevation of the 2,980m. Overnight at Tortong. Today, we will begin our trek back from Tortong to Yamphudin passing through the Lasiya Bhanjyang with greenery trees and beautiful landscapes. We will continue our pleasing trail through the land of landslides and finally, we will reach to Yamphudin. Yamphudin is a village of Sherpa, Limbu, and Rai. Overnight at Yamphudin. Mamankhe with Limbu settlements and one of the famous Museum. Then we will cross Khaksewa Khola Bridge and cardamom fields and we will finally reach to Yangpang. Overnight at Yangpang. Next morning, after having early breakfast, we will trek downwards to Thorpu which is situated at the elevation of 1,500m. During our trek, we will pass through beautiful Sherpa village which provides us chances to interact with the local people and their local culture. We will stay overnight at Thorpu with delicious native food. Day 23 : Drive to Birtamod. In this day, early in the morning after having breakfast, we will drive to Birtamod through the beautiful surrounding along with some breathtaking mountain views. We will travel through the plain surface of eastern Terai region of Nepal. It takes around 5 to 6 hours’ drive and you will finally reach Birtamod. In the evening, you will explore the places of Birtamod and stay overnight over there. Today is the last day of Kanchenjunga trek, from Birtamod, we will take a short drive over to Bhadrapur and from Bhadrapur, we will take a flight to Kathmandu. A scenic flight takes you to the lively city of Kathmandu. If you have time then after short rest at Kathmandu hotel, you can do shopping in the Thamel bazaar late in the day. Overnight at hotel. Today, after early breakfast, we will manage you to visit half day world heritage sites and you can do some shopping in the exciting market of Thamel. In the evening, you can enjoy farewell dinner in the restaurants. 	Air Fare from Kathmandu - Suketar; and Bhadrapur - Kathmandu. Drive from Thorpu - Birtamod - Bhadrapur. Special permit for Kanchanjanga trek.